Re-Cap: - WOW! FUN! We split into two groups for different experiences, both challending, but one a bit more challenging. Bob Comer ducks through a low spot. We did plenty of ducking, crouching, crawling, scooting, climbing as we made our way. 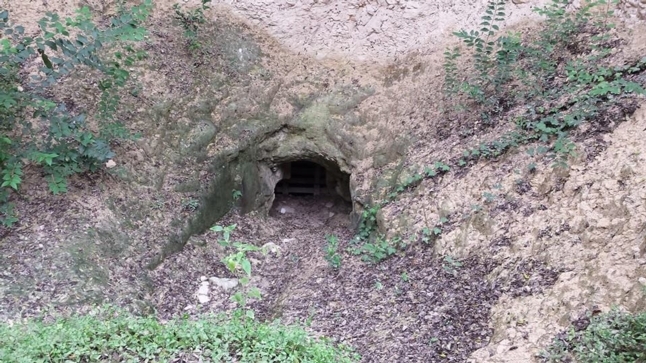 Non-cavers - Claustrophobic? Bad knees? If crawling around down under make you queasy, no worries, you're the majority. Come join us at the ABOVE GROUND visitors' park, and learn about the history of this infamous cave. No RSVP necessary if you staying above ground. Make your Underground Tour Reservations NOW. TCMA is opening the cave just for us. It is normally not open to the public. 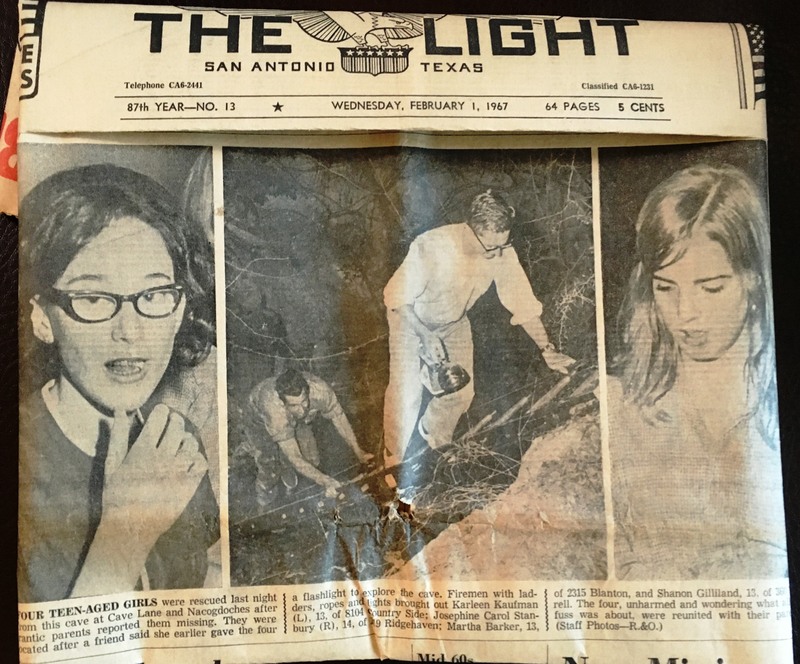 RSVP to tschmid@austin.rr.com to reserve your spot in the underground spelunking tour. Each tour is limited to 15-20 participants. First Come First Serve. 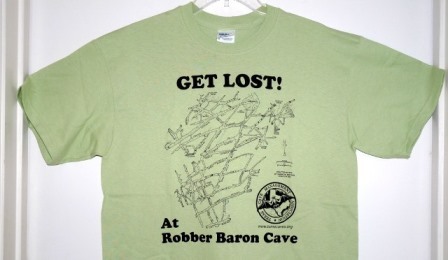 Robber Baron Cave is a wild cave located in the middle of a well established neighborhood in San Antonio, just north of Alamo Heights. 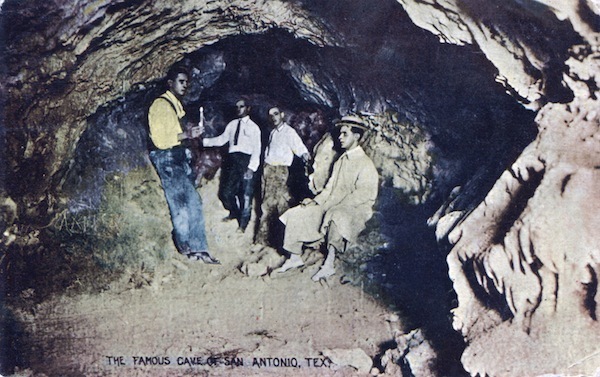 The cave has a long and storied history dating to the 1800’s and was a commercial cave in the 1920’s and 30’s and a speakeasy during prohibition. The cave is also home to two endangered species found nowhere else in the world. 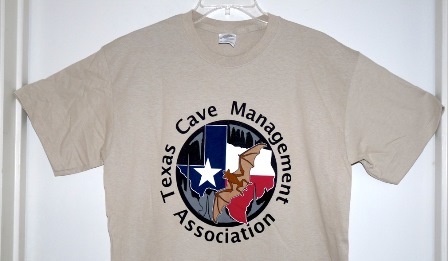 The cave is currently owned and protected by the Texas Cave Management Association to preserve the cave, its wildlife and its history. TCMA has developed the surface of the cave as a park, open for public visitation. The cave itself is only open for special tours. Helmets, headlamps, kneepads, and gloves will be provided. Visitors should wear durable footwear such as boots or sturdy shoes with good soles for rough terrain. Long pants such as jeans are highly recommended. The cave is warm with 100% humidity so a short sleeve shirt is preferred. Visitors are welcome to bring cameras and water with a small pack being preferred to keep your hands free. * Bring plenty of water for hydration. ** Prepare to get dirty, so a change to clean, dry clothes afterwards is recommended. Note that entering the cave involves sliding while sitting or crawling though the approximately 20" x 20” gate. Adventure Tour: This tour will be more strenuous including significant crawling, some climbing and traversing. Participants in this tour should be in good physical condition. Introductory Tour: This tour will mostly be walking over the uneven and rough floor of the cave. However, there are a couple of short sections of hands and knees crawling, a stooping duck under, and one short climb over a rock of about 5 feet. Entering the cave involves sliding while sitting or crawling though the approximately 20" x 20” gate. The cave is not open to the public. Open only when TCMA takes groups down, by appointment. side note: We gain an extra hour of sleep Sunday morning. Daylight Savings end at 2am. Remember to set your clocks to "fall back" an hour. "We have had sizable people go through the gate with no problem. Its just psychology!" Our personal memories of "the cave"